A full set of Pro Gate’s 4-Pin Extension Cables will guar-on-tee your cables are locked, before your riders are loaded. All of our Gatekeeper products are tested to the highest standards of performance, durability and usability. 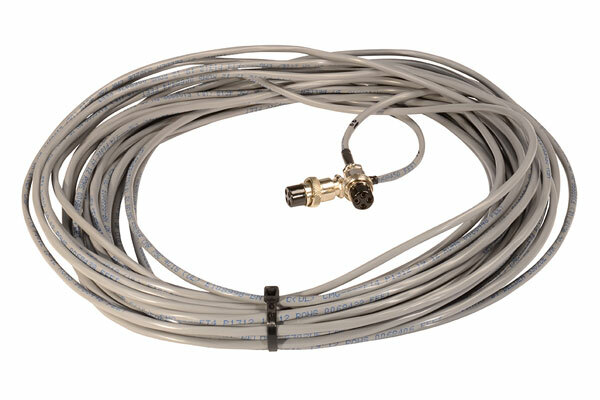 The sturdy, modular four-pin connection features a threaded closure on each end to ensure a secure and lasting connection between components. The 4-Pin cable is used for Pro Gate air ram, speakers and lights, and we offer stock lengths for each of those applications (33-feet, 50-feet and 66-feet, respectively). Custom lengths are also available to fit your location.